The Lodge and its View! A wedding is always such a romantic, happy day, filled with the love and laughter of family and friends. So much planning and preparation goes into said special day from décor, to flowers, rings, outfits and most importantly the venue that we thought we’d help make the planning and decision-making a little easier for you! 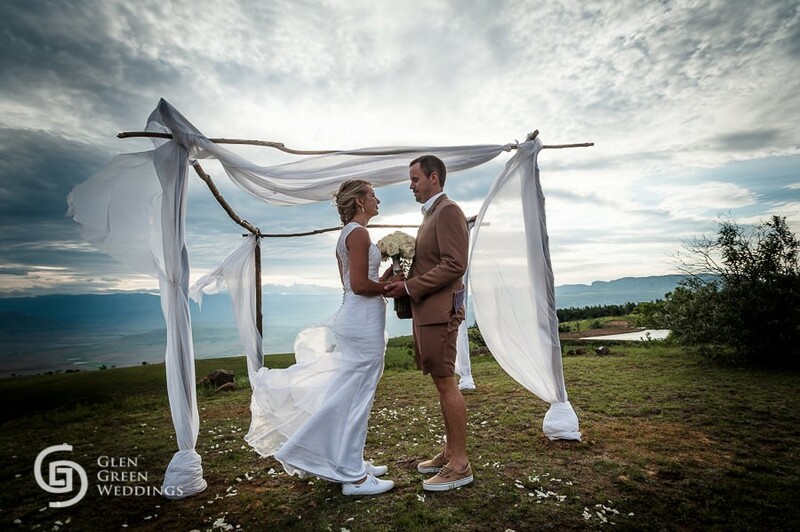 Enjoy your wedding day in the splendour of the Drakensberg Mountains here at Drakensberg Mountain Retreat. Drakensberg Mountain Retreat provides a picturesque back drop for your beautiful day with magnificent scenery for photos and, to top it all off, we will throw in one nights’ accommodation in our honeymoon suite at no extra charge! While picnic is the operative word here, we do have accommodation and spaces available to you to ensure your wedding weekend or evening away is as comfortable and romantic as you’d imagined. First up, our Vergezient Lodge is a unique resort with breath-taking views and a warm, unique and charming atmosphere that we take pride in creating and providing you with for your special day! Why the Lodge? Well, the Vergezient lodge offers a 100km long panoramic view of the Central and Northern Drakensberg including the Amphitheatre and the Royal Natal National Park – said to be one of THE best views in the Drakensberg – and makes the perfect accommodation space for your guests as well as provides an incredibly beautiful outdoor area with views for your picnic style wedding. There is, however, another piece of Drakensberg heaven that we have on offer to you and that is our Barnhouse. With a wood-burning stove, a fireplace, large veranda, flower filled conservatories; and a large central venue for you to make use of however you need, the Barnhouse lends itself to the most rustic yet picturesque picnic style wedding adventure yet! There were 19 adults and six children. Drakensberg Mountain Retreat provided “welcoming drinks” for the guests after the formal wedding ceremony and during the photo session with delicious snack platters place at the picnic style reception for guests to enjoy. The drink of choice was a classic, “Virgin Mojito” an alcohol-free beverage consisted of a mix of Sprite, Soda, fresh lemon and mint. The snack platters consisted of a cheese, snack, fruit sosatie, tasty dip and a small biltong selection. The bride provided lovely packed picnic baskets with everything required for a luxurious and romantic picnic. 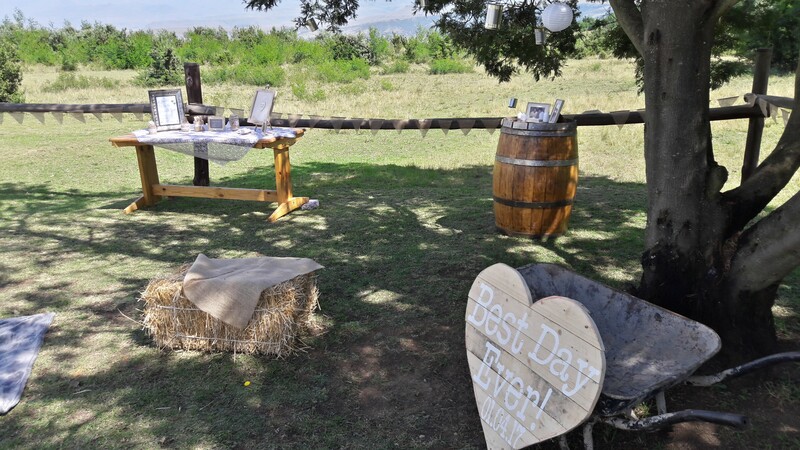 The seating at the wedding was rustic, in true Drakensberg Mountain Retreat style with wooden benches and cushions used at the ceremony and blankets or hay bales covered in hessian at the picnic style reception. The décor, also a rustic type setting, with some of the decor items made or supplied by us and some by the bridal couple themselves. Very few items that were used at the wedding were hired from a local wedding supply company which saves costs and adds a little extra uniqueness to your special day! We also have another tradition here at Drakensberg Mountain Retreat known as the DMR Mthobisi Wedding Horse Run whereby Mthobisi – our Horse Carer – will round the Horses up in preparation for once your vows are done thereafter sending our beloved horses galloping through to celebrate such a momentous occasion. This adds an incredibly beautiful touch to a romantic moment! 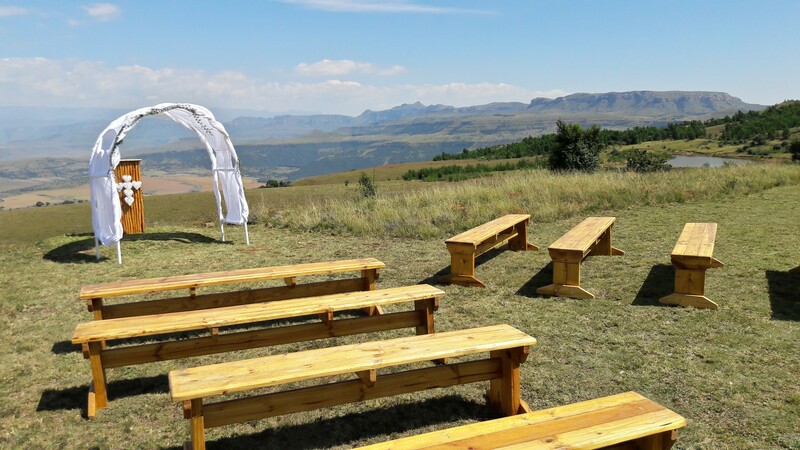 If you are looking to host your picnic style wedding here at Drakensberg Mountain Retreat it is important for you to note that we do suggest making use of all our accommodation facilities as other guests may disrupt proceedings during their own activity. This will keep the venue and the event exclusive to you and your guests which makes for a fun event surrounded by family, friends and the people that matter most to you! We have two facilities for your guests to utilise, namely the Vergezient Lodge and the Zonderntwyvel Barnhouse. Wedding groups are given the option to book either one or both of these buildings for their exclusive use. 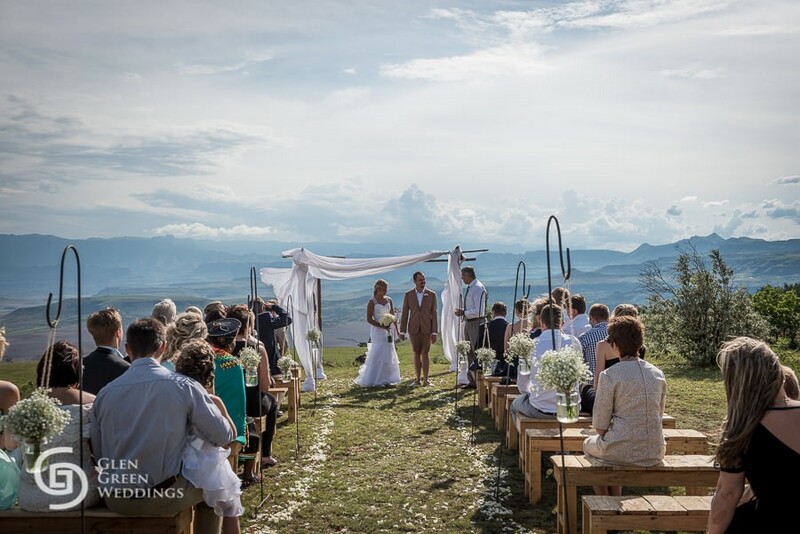 If you’re looking to enjoy a relaxed yet luxurious picnic wedding in the Drakensberg Mountains then be sure to get in touch with us today for more information on our wedding offering and package rates. Drakensberg retreat truly is a hidden gem, far away from the hustle and bustle of the city. The hiking trails have spectacular views and the staff are very helpful. I was very happy during my stay at Mountain Retreat with my dog. The owners are absolutely friendly and helpful. There are awesome hiking trails around and it is a beautiful atmosphere around with all the wild horses and other animals. A recommended place for everybody who is looking for nature and time for him/herself. The cook is excellent as well.